Marley & Moo Blog Spot! Sleep Deprivation in the U.S.
Americans are not sleeping well. First of all, we aren’t getting enough zzz’s in general. The average American sleeps a mere 6.8 hours a night, which is less than the doctor-recommended seven to nine we are should get. Furthermore, the sleep we are getting isn’t high quality. The artificial light we surround ourselves with in the home makes it so our brains don’t completely turn off. We are also over-caffeinated and overworked, both of which disrupt our brain chemistry and make it more difficult to get quality rest. If you have a new baby at home, getting enough sleep can be even more difficult. Newborns naturally have irregular sleep cycles, which can affect the whole family. However, it is important to do what you can to encourage enough sleep both for parents and siblings once baby comes home. Children in particular suffer when they don’t get enough sleep. Missing out on essential rest can have a serious negative impact on their schoolwork. Children may have a harder time concentrating in class and greater difficulty retaining information. Their compromised immune systems are more likely to catch an illness from bacteria or viruses spread throughout their school. Once they get into a poor sleep cycle, children are more likely to develop issues such as insomnia or restless leg syndrome. Getting enough sleep helps boost energy in children so they have an easier time at school with less moodiness and irritation. If you want your family to have more quality rest, it is important to implement a solid sleep schedule. A sleep schedule consists of a set bedtime and hour at which you wake. It’s important to keep that sleep schedule both throughout the workweek as well as the weekends. A consistent sleep schedule helps the body understand how much rest is normal so it can function at its highest. 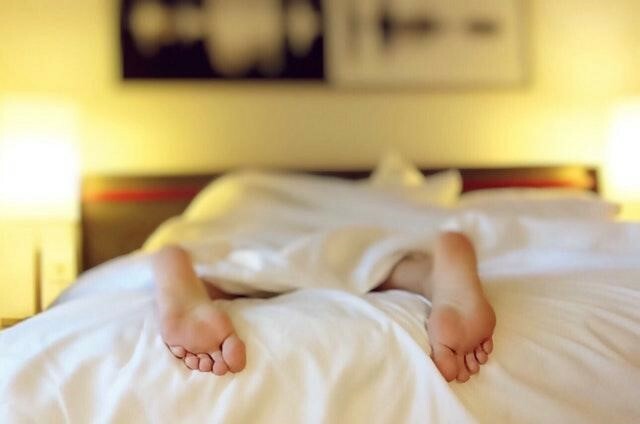 Beyond set sleep and wake times, a healthy sleep schedule also encourages those in your family to wind down in the hours before it is time to go to bed. Creating a soothing atmosphere that encourages the brain and body to relax makes it easier to go to sleep when it is time. Beyond those initial hours, there are also things you can do throughout the day to promote deep sleep and quality rest. ● Two-parent families can help each other get enough sleep by trading off days for who is supposed to check on the newborn when they wake up in the middle of the night. ● Avoid caffeine after noon. This gives your body enough time to get rid of the stimulant so you don’t feel its effects well into the evening. Find out more at Befriendyourdoc.org.